IMMA 1000 is a fundraising initiative that was launched in 2016 to support the future of Irish contemporary art. Through the vision and generosity of our exclusive corporate founding partner, Goodbody and our founding private funders the campaign has reached its initial target and raised €250,000. Developed on behalf of IMMA by John Cunningham this initiative has enabled IMMA to directly support Irish artists by commissioning new work, providing funded residencies and acquiring new works for IMMA’s collection; the National Collection of Modern and Contemporary Art. Severe cuts in arts funding since 2008 have had a devastating effect on supports available directly to contemporary artists, and as a result artists simply cannot afford to live and work in Ireland, creating a huge concern for the future of Irish art, and contemporary Irish culture. With IMMA 1000 we want to create a better support infrastructure for working Irish artists today, securing the ecosystem for the future. IMMA 1000 was initiated to address the funding crisis within the visual arts sector following the economic crash. Our society suffers if artists cannot sustain a practice in Ireland. IMMA 1000 helps to create a more viable and sustainable art ecosystem for current and future generations of Irish artists. Support artists to live and work in Ireland through bursaries and studio space on the IMMA residency programme. 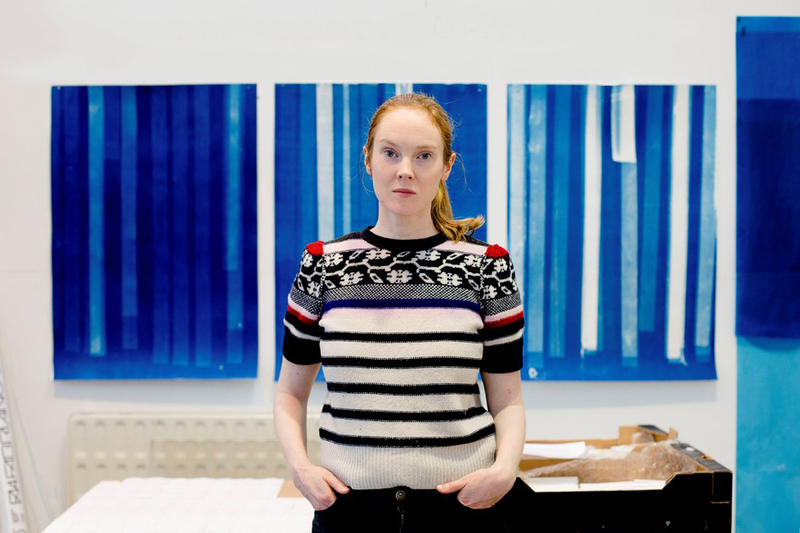 Supports artists’ income through commissions and exhibitions at IMMA. Support artists’ work through the purchasing of artworks for the IMMA Collection. Our goal is to raise €250,000 by the end of 2018. Substantial cuts in arts funding since 2008 have had a devastating effect on supports available directly to contemporary artists. Arts organisations such as IMMA have also seen cuts of close to 50% in their government funding resulting in fewer acquisitions for public collections, fewer commissions of new work and reduced artist fees. Overall these combined cuts create an overwhelming reduction in the funding that institutions such as IMMA can use to directly support artists. The commercial art market in Ireland also faces considerable challenges. As organisations slowly start to rebuild after years of successive cuts it is essential that IMMA is able to actively support Irish artists so that Ireland will remain a viable place for them to live and work into the future. If not, the effect of their loss will be felt for generations to come. If you are a PAYE employee, a donation of €690 will result in a donation of €1,000 for IMMA through tax relief. Please contact our Stephen Taylor in our Development Office on +353 1 6129954 or stephen.taylor@imma.ie to process your donation. IMMA has been supported in this initiative by Goodbody as the exclusive corporate founding partner for IMMA 1000. As Ireland’s longest established stockbroking firm, Goodbody understands the importance of creating a legacy today for future generations. That’s why it has made a firm commitment to contribute significant funds to this important initiative over three years. IMMA 1000 was conceived on behalf of IMMA by businessman John Cunningham, who responded to a talk by IMMA Director Sarah Glennie to a group of business leaders in 2014. He was struck by the critical difficulties, outlined by Sarah, facing artists in Ireland following the economic crisis. John, together with a group of founding donors, raised €20,000 for the launch of the initiative. This, plus the support of Goodbody, created a founding fund of €60,000 in year one. John has continued to champion this fund since 2014 and together we have raised €250,000 for Irish Artists.